After completing his studies at the conservatory of Amsterdam with Dmitri Ferschtman, and in London with Christopher Bunting, Jeroen was leader of the Cello Octet Conjunto Ibérico, a group with a worldwide reputation as a full time cello ensemble. Since 1999 he is a member of the “Nieuw Ensemble”, one of the leading Dutch chamber music groups for contemporary music. He is winner of several prizes, including the first prize in the “Postbank Sweelinck” competition in 1992 and the first prize of the Foundation of the Royal Concertgebouw, Amsterdam. He is a very active chamber music player, performing with musicians like Janine Jansen, Isabelle van Keulen, Anner Bijlsma and Michael Collins, giving concerts in more then 25 countries in places like Wigmore Hall (London), Lincoln Centre (New York), Concertgebouw (Amsterdam) and Palais des Beaux Arts (Bruxelles). 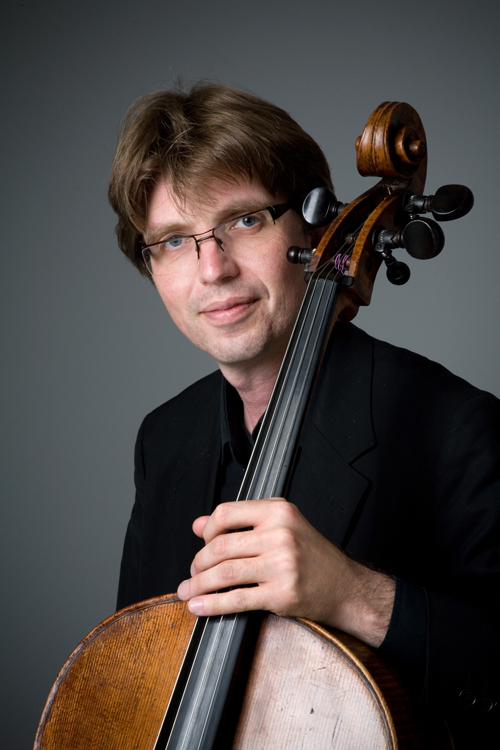 Jeroen is cello professor at both the conservatories of Amsterdam and Rotterdam, and artistic leader of the “Cello Biennale” in Holland. He joined the Ruysdael Quartet in March 2005.